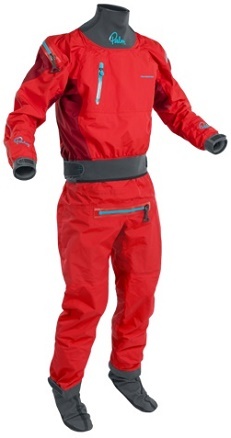 Palm Atom is the premium whitewater mens drysuit. Developed from the popular Atom jacket, this drysuit is tough, comfortable and allows for plenty of range of movement. The Palm Atom is the premium mens drysuit for whitewater canoeing and kayaking and takes its' design from the popular Atom jacket and combines all the features and performance of that cag into a superb suit. 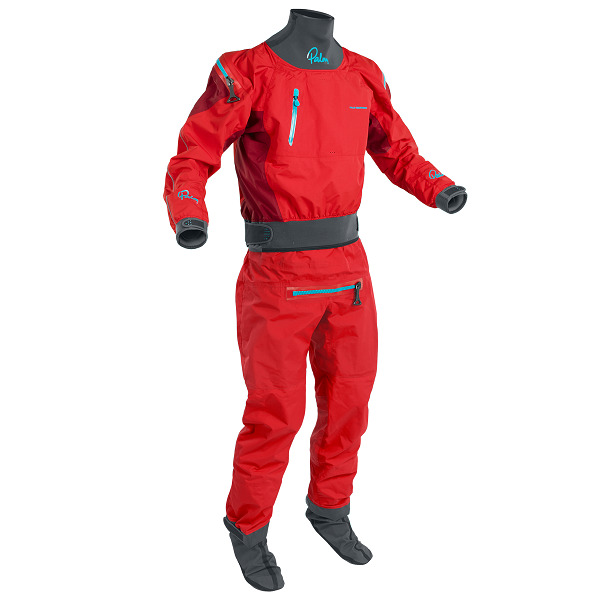 This light but durable drysuit has been designed to give you maximum range of movement while not scrimping of protection. The Palm Atom mens drysuit features latex wrist with protective overcuffs and neck seal with neoprene collar, a comfortable plastic Masterseal Ti-Zip shoulder entry zip along with a handy relief zip as well. There are also reinforced panels on the seat and knees just where you need a little more protection and waterproof fabric socks built-in to the suit as well. The Palm Atom Drysuit is available for delivery thoughout England, Wales, Scotland, Northern Ireland & Ireland. The Palm Atom Drysuit is available for instore collection from Norfolk Canoes or from any branch within the Canoe Shops Group.